Public sector lender Canara Bank on Monday reported a massive jump of 152% in net profit at Rs 317.52 crore for the third quarter ended December 2018, aided by strong growth in domestic advances and a healthy CASA growth. 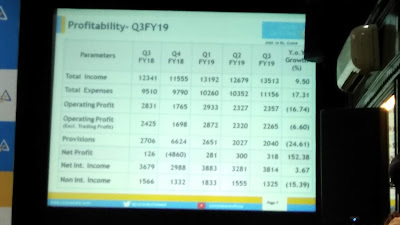 The bank had logged a net profit of Rs 125.75 crore in the corresponding quarter of the last fiscal. Its net interest income improved to Rs 3,814 crore, an increase of 3.66% from Rs 3,679 crore in the year-ago period. The bank’s domestic net interest margin (NIM) improved to 2.85% and global NIM at 2.65%. The bank’s total income stood at Rs 13,513.35 crore, an increase of 9.49% compared to Rs 12,341.09 crore. PV Bharathi, executive director of the bank said the amount of gross NPAs stood at Rs 44,621.27 crore compared with Rs 40,311.98 crore. However, the percentage of gross NPAs stood at 10.25% compared with 10.38% in the third quarter of the last fiscal. Net NPAs of the bank went up at Rs 26,591.07 crore in the third quarter compared with Rs 25,295.26 crore. “The bank is taking a multi-pronged approach in terms of cash recovery. As far as recovery is concerned, there are proper policies in place. in the third quarter, cash recovery aggregated to Rs 2,814 crore,” she said. The provision coverage ratio has improved by 670 bps to 62.54% from the December 2017 level of 55.81%. The bank’s CASA deposits were up by 10.66% at Rs 1.74 lakh crore, and CASA share (domestic) stood at 32.23%. Bharathi said, “By the end of this fiscal, we are aiming to touch CASA deposits of Rs 2 lakh crore.” Going forward, the bank aims at improving the bottom-line further with balanced thrust on both retail and corporate advances. 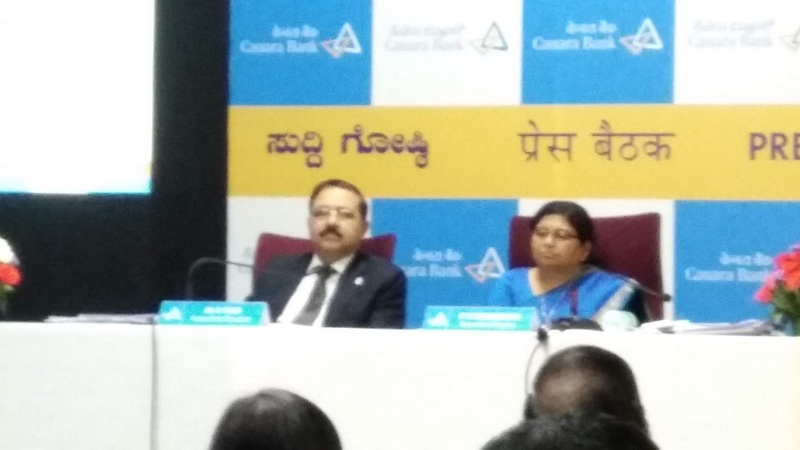 Canara Bank said its employee stock purchase scheme (CanBBank ESPS) which kicked off on January 21 and closed on January 21 and closed on January 25 was oversubscribed by 134 per cent due to good participation from employees. "Under the said issue of up to 2 crore equity shares under tranche-I, the bank will be raising a capital of approximately Rs 557 crore," said the bank officials.